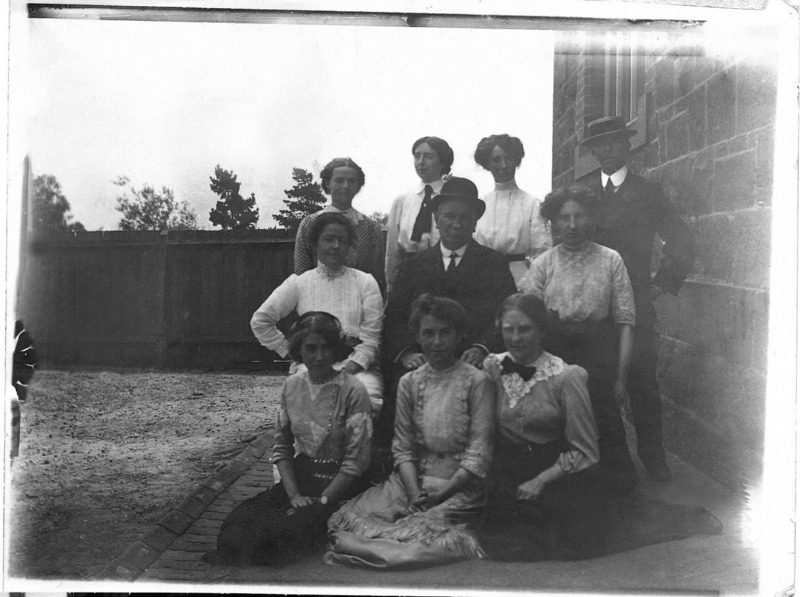 Group photo of Yarra Park School teachers 1911. Sitting front row left is Yatala Bruce (1894-1962). She was the daughter of John Vans Agnew Bruce and Sarah Grace nee Wayman. The family lived at 5 Palmer Street, Jolimont. In 1921 Yatala (Yattie) married George Edward Ovenden and the couple thereafter lived at 94 George Street, East Melbourne.